I thought I'd take a second here and share some of the books we've been reading out of our Christmas book basket. ('Tis the season and all that!) Several years back Amy (of Hope is the Word) mentioned that she wrapped her Christmas books and her kids would then open a book a day to read. I decided that seemed like a right fine and dandy idea and decided to do the same for my kids. We've done it several years in a row now and I am not able to get away without wrapping them at this point. One of the highlights of our Christmas season is unwrapping our books so it would seem that Amy has changed the way we celebrate Christmas for all time. Of course, every year I also like to add a new bok or two to the home collection, just to keep surprising them. Some are added via review copies but others I pick up as I see them. 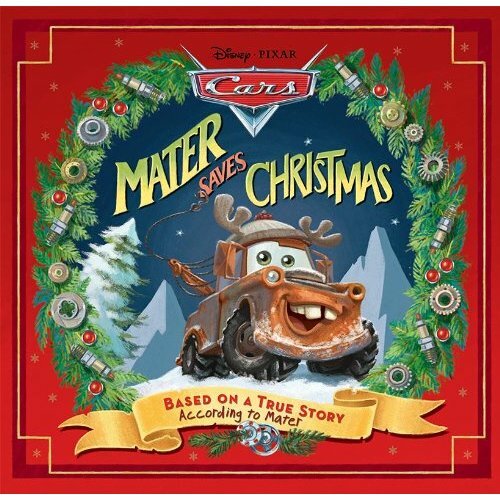 (Is it just me or is it becoming harder to find good Christmas titles with any decent meaning attached to them!?) One book that I picked up last week (courtesy of a gift certificate!) was The Christmas Story: The Brick Bible for Kids . Now, I have to confess that I feel like this one is a little sacrilegious. Part of me is ok with it (because this is sort of what we're doing with our Story of the World studies, mentioned previously) and part of me is disturbed . . . but I can't quite verbalize why just yet. My hesitation comes, in part, from the fact that I once heard a sermon in which picture slides were used, featuring Monsieur Lego, to make the sermon point. I have to say that I was severely less-than-impressed by that rather theologically weak sermon and so I have a hard time reconciling Legos with scripture in my mind. Nevertheless, my oldest has really taken to this book. Surprise. 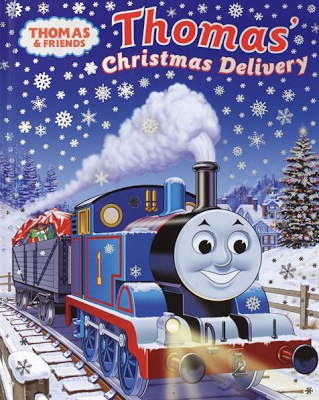 Of course, we can't celebrate Christmas rightly around here without a Thomas title. I've talked about Thomas's Christmas Delivery in the past. Each year my resident train lover is delighted to hear about how Thomas is trying to get back to the shed in order to hang his stocking before St. Nick's arrival. Before he can rest for the night he has three special deliveries to make in order to prove what a Really Useful Engine he is. Every time I read this book I'm reminded that we need not do anything to earn Christ's love and affection. His gift of salvation and love does not originate with us. We do not earn our salvation. It is a gift! Thankfully. Gratefully! Every year I try to cull the stack and oftentimes replace with better titles. I'm always looking for a good Christmas picture book to share so if you have one to recommend, please do so! I'd love to hear about it! One of our boys' favorites when they were young was The Puppy Who Wanted a Boy by Jane Thayer. Just this morning I saw The Brick Bible featured at Barnes and Noble's Facebook page. I'm like you, I would have my hesitations. Some people commenting were furious that it was an obvious attempt to be offensive. I looked through a FEW of the sample pages, but didn't see anything too offensive. Of course, they may have picked their sample pages with care. :) Like you, I can't quite place my finger on why I would still have hesitations, though. I try to cull our collection each year as well. In a quest to find some beautiful and good honest-to-God CHRISTMAS stories, I've found a lot of really pretty duds :(. 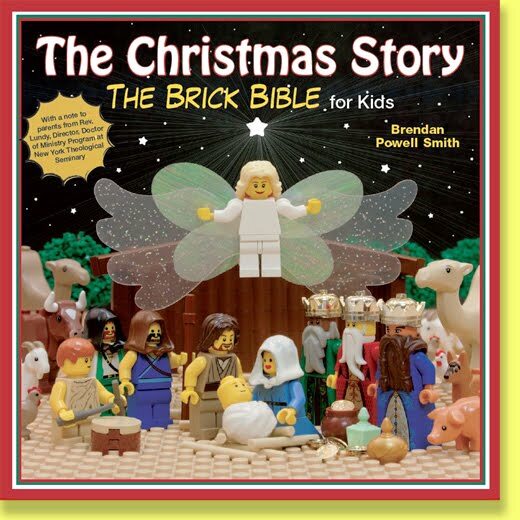 I know my kids would have loved the Brick Bible when they were younger but I too have some hesitation about it. Have you and your family read The Last Straw by Frederick H. Thury? It is a beautiful Christmas story and the illustrations are gorgeous! I recommend Rebecca Caudill's A Certain Small Shepherd and Maud Hart Lovelace's The Trees Kneel at Christmas. Other favorites are Becky's Christmas by Tasha Tudor, Lois Lenski's Christmas Stories, The Story of Holly and Ivy (illustrated by Barbara Cooney, please! ), Marguerite DeAngeli's The Lion in the Box, anything by Richard Scarry (Sweet Smell of Christmas, The Animals' Christmas, Christmas Mice, etc) and my dozen volumes of Christmas short stories. I would have to read it again to pinpoint an age group (your youngest(s) might be too young) but I've always loved The Christmas Miracle of Jonathan Toomey. I agree about the LEGO book - just doesn't feel right. For me it's because the LEGOs distract from the story. You're busy thinking about "how'd they build that stable" or "I wonder where I could buy a wise man" instead of thinking about the actual story. We also have some duds I need to cull.